PALM BAY, Fla. - UPDATE: Following a News 6 investigation into a driveway contractor accused of taking deposits but failing to complete jobs, the Florida Attorney General’s Office has filed a lawsuit against the company and its owner. John Storms took deposits from at least eight consumers totaling $33,898 but performed little to no work, according to the lawsuit. The Attorney General’s Office is seeking an injunction that would prevent Storms from engaging in deceptive and unfair trade practices. It is also demanding that Storms reimburse customers’ deposits and pay civil penalties. 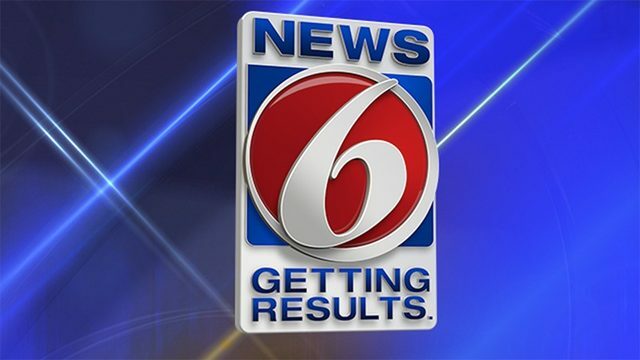 John Storms' telephone number was disconnected when News 6 attempted to reach him for comment about the lawsuit, and his attorney did not immediately reply to an email about the litigation. The day after News 6 first broadcast the story about the Above Average Landscapes, three customers featured in the report received letters from Storms attorney offering to settle their disputes. “(Above Average Landscapes) has fallen on extremely hard times over the past year and will no longer be economically or physically able to operate its business,” states the settlement letter, provided to News 6 by the customers. The proposed settlements range from 9 percent to 43 percent of the amount of the customers’ original deposits, records show. The settlement money would only be paid after the company’s owner sells his home, according to letters. All three customers who received settlement offers from Above Average Landscapes tell News 6 they will not accept the money, claiming they are owed more than the amount proposed. PREVIOUS UPDATE: Following a News 6 investigation into a driveway contractor accused of taking deposits but failing to complete jobs, the Florida Attorney General’s Office announced it has launched a consumer protection investigation into the company. No further details about that state investigation have been made public. The day after News 6 first broadcast the story about the Above Average Landscapes, three customers featured in the report received letters from the owner’s attorney offering to settle their disputes. The proposed settlements range from 9 percent to 43 percent of the amount of the customers’ original deposits, records show. The settlement money would only be paid after the company’s owner sells his home, according to letters. John Storms, the owner of Above Average Landscapes, and his attorney did not immediately return phone calls from News 6 offering an opportunity to respond. James Simandira was looking forward to buying an RV so he could take his mother-in-law on a sightseeing trip through Tennessee. But first he needed a larger driveway at his Cocoa home in which to park it. After finding an advertisement on Craigslist for Above Average Landscapes, Simandira signed a contract with the company's owner, John Storms, agreeing to pay $10,268 for the installation of brick driveway pavers. Simandira wrote Storms a $5,648 check in May 2015 as a down payment for the project. More than a year later, the driveway remains unfinished. "I'm angry. Very angry," said Simandira, looking over mounds of gravel piled up where his RV would have been parked. "I paid that much money and I don't have anything to show for it." Simandira is among several customers who have spoken to News 6 about major delays that they said they've encountered waiting for Above Average Landscapes to complete their paving projects. "Nine months after I signed the contract, I'm still sitting here without a driveway," Keith Capizzi told News 6. "(Storms) said it would take him about a week or two to finish it." Records show that Capizzi paid the company a $3,500 deposit in August 2015. Since then, he claims that Storms has been to his Cocoa Beach home only once. During that visit, the contractor used a large saw to cut lines in the existing concrete driveway, according to Capizzi. "The city came by and threatened to give me a $200 fine because he made such a big mess," Capizzi said. "I actually had to take a day off of work to clean off the road." Storms has been to Sid Kirchheimer's Melbourne Beach home on a few occasions. However, nearly a year after records show that Kirchheimer paid Storms the first of two deposits totaling $6,100 to install driveway and walkway pavers, the yard remains torn up. "We haven't had a full day of work yet," said Kirchheimer. "He ignores your calls, he ignores your email messages. And when he does respond, he's rude. He's combative." The paver contractor acknowledges that he has some unhappy customers. Storms, 50, claims that a severe illness earlier this year prevented him from working. Even before that illness, Storms admitted that he was backlogged on projects. “I was 3 or 4 months behind when I signed the jobs, and I told them that,” he said. Even though some of the customers’ contracts include a clause giving Above Average Landscapes a year to finish the job, they claim that Storms promised completion much sooner. Storms also blames the construction delays on his inability to employ reliable subcontractors. Customers told News 6 that Storms had many other excuses for failing to show up. Kirchheimer said Storms also blamed construction delays on equipment failures, truck problems and the death of a relative. Storms insists that all the excuses were legitimate. Like other customers, Hector Collazo discovered Above Average Landscapes on Craigslist when he wanted driveway pavers installed at his Viera home. He paid the company a $2,850 deposit in January 2015, records show. Four months later, after Storms admitted that he failed to begin the project by the estimated start date on the contract, Collazo said he began requesting a partial refund. 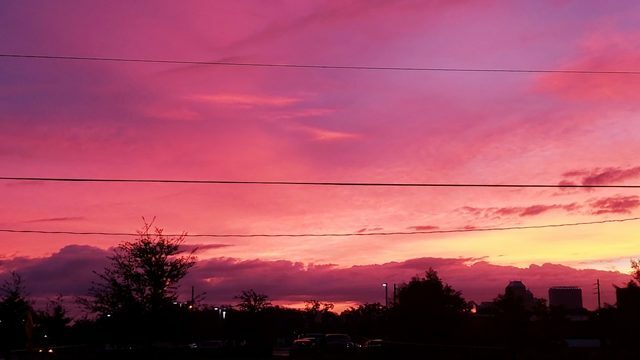 When Storms declined to return the money, Collazo filed a lawsuit in Brevard County Circuit Court against Above Average Landscapes, records show. Storms soon filed a counter suit against Collazo, accusing the customer of making defamatory statements about the company in negative online reviews. Neither John nor Sherry Storms provided details on how Collazo’s online reviews of Above Average Landscapes caused the construction delays experienced by Simandira, Kirchheimer, and Capizzi. “I know (John Storms) doesn’t like me because I told him, ‘I'm going to pursue you and put you in court,’” said Collazo, who eventually hired another company to finish his driveway project. It took only four days to complete, he said. Storms told News 6 that he wants to help his unhappy customers. “I’m going to make it totally right,” he said, indicating that he would offer some customers a partial refund. “My attorney is going to handle everything with them. And we’ll get this straightened out,” said Storms, who declined to provide News 6 with his attorney’s name. It could be a challenge for the contractor to offer financial relief to his former clients. According to Storms's wife, Above Average Landscapes is out of money. “We no longer have any assets and our company went bankrupt,” Sherry Storms told News 6 in an email. Several customers said they became concerned that their driveways would not get finished when they discovered that Storms was selling some of his trucks and construction equipment on Craigslist. “The proceeds from the two vehicles that I sell is going to repay some of the money,” said Storms, who said he was getting out of the driveway paver business. More than a month after Storms claimed that settlement offers would be mailed to his customers, Simandira, Kirchheimer and Capizzi said they still had not received them. Kirchheimer suspects that there are other unhappy customers in Brevard County still waiting for Storms to finish their paver projects. “If they haven't gotten the job complete, they should report it to authorities,” he said. Three former customers, including Collazo, have filed complaints against Above Average Landscapes with Florida’s attorney general, records show. “I think it should be called Below Average Landscapes,” said Simandira, who recently passed up a good deal to purchase an RV because the driveway for it is still not complete.